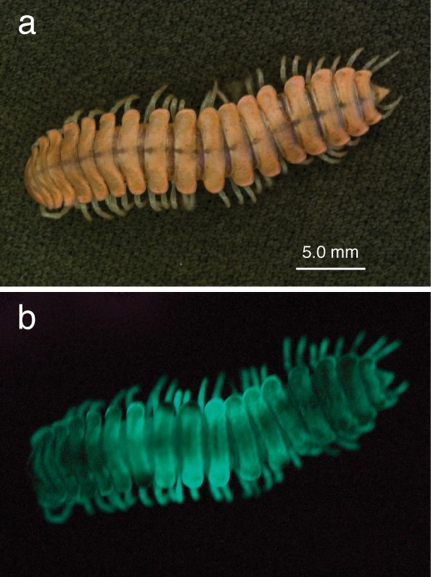 In 2010, I provided design assistance for my husband’s project investigating the role of bioluminscence in native California millipedes of the genus Motyxia. 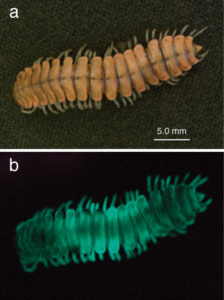 This involved creating a bronze cast of a millipede specimen and a push mold to replicate several hundred millipede models. Finally, the models were painted and covered with phosphorescent powder to make them glow as realistically as possible. You can learn more about the project in the video link below. 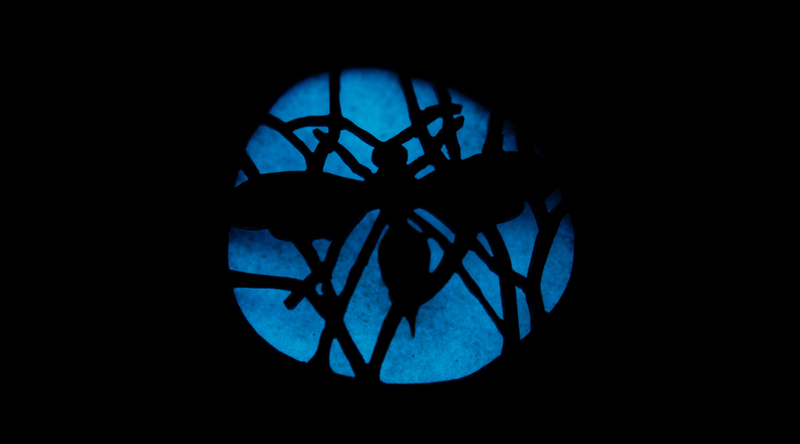 Inspired by the materials used in this project, I developed a glow-in-the-dark enameling technique. This is described in the November 2013 issue of Art Jewelry Magazine. My luminescence series shows a number of these enamel pieces.